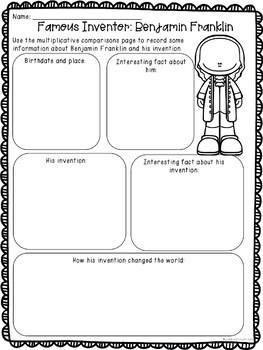 Combine Social Studies/Science and Math instruction, when students explore information about inventors while also practicing fourth grade math skills. 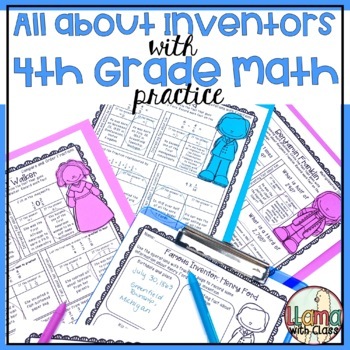 Students answer 5 different math questions of varying skills to learn basic information about inventors. 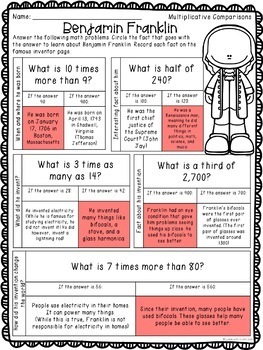 This works great for math instruction, social studies/science instruction, or homework. 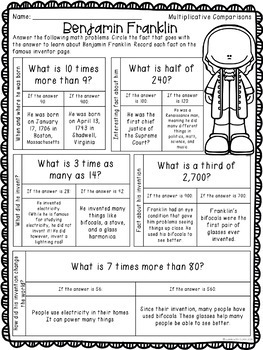 Practice 16 different math skills and learn about 16 famous inventors. Looking for other resources to help your connect subject areas? Looking for other resources that include 4th grade math standards?